With the occasion of the 5th steering committee of the ACP Fish II programme, held on 5th of February in Brussels, CTA Brussels met with Georges Mba-Asseko, Expert in maritime, coastal and fisheries ecosystems at the Economic Community of Central African States (ECCAS), to discuss the situation of fisheries in Central Africa, and the opportunity of the collaboration with the EU, especially in the context of the programme. The first session will look at ways of preserving traditional knowledge: frameworks, processes and tools, and will discuss the various frameworks, uses and tools to protect and preserve traditional agricultural and food products, and their added value in terms of quality, reputation, competitiveness, profitability and support to biodiversity. The second panel will review the potential of origin-linked tools for ACP producers based on successes, by looking especially at sustainability factors. Confirmed speakers include: Bernard O’Connor, from O'Connor European Lawyers, European Commission and ACP experts, representatives from World Intellectual Property Organization (WIPO), Réseau Echanges Développement Durable (REDD), and the Caribbean Community (CARICOM). The event will take place on Wednesday, 15th May 2013, starting at 8.45 am. The Obama administration is proposing a major overhaul of food aid that would for the first time put America’s overseas policy in line with European practices of providing cash and other alternatives to bulk shipments. The White House plan, which is included in the 2014 budget proposal, marks a significant shift in US policy. At the moment “we have a one-size-fits-all approach to addressing acute humanitarian crises … a system that was designed in the 1950s and has largely remained based on 1950s policies,” said Muñoz, the senior policy advisor for agriculture and food security at Oxfam’s Washington office. But if approved, it would mark the first time that Washington moves away from buying surplus food from American farmers and shipping it to developing countries or disaster zones. The proposal would put the Americans in line with the EU and more recently Canada to use cash transfers and vouchers in times of food insecurity. The US is also focusing more on investing in child nutritional support and education in foreign aid policies, in line with new European Commission proposals. Pressed by Britain, European countries agreed in the 1990s to move towards a food aid system based on regional food procurement through cash transfers and vouchers rather than bulk food deliveries. Though the change has not replaced the need for food donations - especially during disasters or in times of humanitarian crisis - the approach is seen as a way to boost local production while providing fresher, more nutrition-rich foods to needy communities. Oxfam and other organisations have long contended that the US programme hurt smallholder farms in recipient nations by deflating prices by “dumping” surplus commodities. Cash transfers are seen as a development tool because local sourcing of food creates markets for farmers and jobs in distribution. The issue has been elevated to diplomatic level between the European Union and South Africa at a time when both parties hope to finally conclude negotiations on updating their wide-ranging trade framework, after more than a decade of discussion. Soekie Snyman, the spokeswoman for the South African Rooibos Council, which represents rooibos producers, told that firstly the red tea needed to receive official trademark status in South Africa itself before it could qualify as a GI. South African rooibos is caffeine-free, high in anti-oxidants and minerals, and traditionally grown in the Cederberg region, 250 kilometres to the north of Cape Town. It is growing in popularity worldwide due to its healthy properties, which helps to explain the French company’s (called Compagnie de Trucy’s) move to obtain marketing rights. There is a range of other South African products that might also be eligible for GI protection, such as ostrich and springbok meat, and the marula fruit from which the Amarula liquor is made. Meanwhile, the same criteria could apply to produce from other countries of the Southern African region – such as Mozambican prawns, Botswana beef and Namibian oysters. “It is important for South Africa to penetrate world markets, and we must look at niche products like rooibos,” a trade consultant who specialises in trade protection issues, said. “That’s the future of trade – it’s where you make your money. Rooibos is important for the rural economy, and it is a health product, so there is a growing market for it”, he added. A recent study in Europe has shown that EU GIs are worth €54.3 billion worldwide, and they represent 15 % of EU total food and drinks exports. The next Brussels Development Briefing, which will be held on May 15th in Brussels, will tackle the topic of ‘Food, geography, traditions: Protecting agricultural traditional products’. There is growing optimism that the countries of Southern Africa are within months of concluding negotiations with the European Union on the Economic Partnership Agreements (EPA) deal, after years of hesitant progress, the EU ambassador in Pretoria (South Africa), Roeland van de Geer, told IPS. “This could be the breakthrough year,” van de Geer added. South Africa, while part of the African Caribbean Pacific group of countries, is not party to the same preferential trade arrangements granted to the African Caribbean Pacific countries (under the Cotonou Agreement), countries which are negotiating since 2002 the transition to the Economic Partnership Agreements (EPAs). South Africa's trade relations and development co-operation with the European Union are governed by the Trade, Development and Co-operation Agreement (TDCA). The TDCA established in 2004 a free trade area that covers 90% of bilateral trade between the EU and South Africa. The ending of negotiations with the Southern African state could offer also an impetuous for the EU to also update its trade relations with South Africa, going further down the road of trade liberalisation, while also ensuring that there is a more coherent accord covering the Southern African region as a whole, IPS reports. The negotiations between the EU and the Southern African states are currently very detailed, with product-by-product discussions. “We are also looking at other related issues, such as Geographic Indications (GIs),” Van de Geer added. The European Food Safety Authority (EFSA) did not pronounce itself on the safety of genetically modified (GM) maize 98140 after the applicant failed to supply sufficient data on the plant’s characteristics, such as its composition and appearance. The GM maize 98140 is a herbicide tolerant crop. EFSA says it could not reach an overall conclusion on the potential risks to human and animal health, because the application for evaluation did not meet all the minimum standards set out by the Authority’s guidance document. This rejection is the first after the authority had committed to make its assessments public. The lack of sufficient data impeded a comparative assessment of the GM maize. Comparative assessment is the fundamental requirement for the risk evaluation of GMOs. It compares GM plants, and the food and feed derived from them, with their respective conventional counterparts – known as comparators. The basic assumption of this method, which is required under current European Union legislation for all GMO applications, is that food and feed from conventionally-bred plants have a history of safe use, and they can therefore serve as a baseline for the risk assessment of food and feed derived from GM plants. EFSA’s risk assessment was delivered in line with its remit to provide independent scientific advice to decision-makers in the European Union. Risk managers in the European Commission and Member States take EFSA’s evaluations into account, along with other factors, when deciding on the authorisation of GMOs. The European Parliament agreed on 17th April to extend by nine months until 1st October 2014 the preferential trade access provided to 17 African, Caribbean and Pacific countries that will have not ratified the Economic Partnership Agreements (EPAs) with the EU.The 17 countries are Botswana, Burundi, Cameroon, the Comoros, Fiji, Ghana, Haiti, Ivory Coast, Kenya, Lesotho, Mozambique, Namibia, Rwanda, Swaziland, Tanzania, Uganda and Zambia. The Parliament had adopted in a first reading in September 2012 a January 2016 deadline, to allow more “breathing space”. A European Commission proposal, tabled in 2011, to amend the Market Access Regulation governing the trade conditions for developing countries which have negotiated Economic Partnership Agreements with the EU, had foreseen an earlier deadline of 1st January 2014. EU Economic Partnership Agreements (EPAs) with African, Caribbean and Pacific (ACP) countries are trade and development agreements which take account of ACP socio-economic circumstances and include co-operation and assistance to help ACP countries to implement the Agreements. Negotiations for EPAs began in 2002 and at the end of 2007, in order to meet a World Trade Organisation deadline and avoid trade disruption, 36 ACP countries signed either a full or interim EPA. The 2007 Market Access Regulation allowed exports from these 36 countries to continue to enter the EU duty free and quota free on the basis that a country could be removed where it indicated that it intended not to ratify its full or interim EPA or where ratification had not taken place within a reasonable timeframe. The 2011 proposal from the European Commission would have seen duty free and quota free market access under an EPA withdrawn from the 17 countries by 1st January 2014 if they had not taken the necessary steps to ratify or conclude an EPA by then. Negotiations for full regional EPAs are ongoing with African and Pacific countries. To the secretary general of the African, Caribbean and Pacific group, Alhaji Muhammad Mumuni, the deadline does harm to the countries involved by forcing them to ratify interim EPA agreements which are counterproductive to regional integration. On the eve of the decisive vote in the European parliament on the market access regulation (1528/2007) he called on the EU MPs to refrain from taking action, as it was considered that voting for the regulation would be to the detriment of the ACP states concerned, and could have been considered as a pressure:“The states are encouraged to trade with the European Union but not amongst themselves,” he said. Launched in 2002, negotiations over parallel regional EPAs are ongoing in five African subregions. They aim to liberalise the trade in goods, as well as services, investment, and market access rules. But discussions have stalled on several points, including the suspension of free trade following human rights abuses. Under the current agreement, the African countries benefit from very favourable terms compared to their international competitors for exports to Europe notably of certain foodstuffs, including bananas, tuna, beef and sugar. On 27th May the new Export Helpdesk – available in English, French, Spanish and Portuguese- will be launched, the European Commission informs. The revised version is aimed to improve both usability and content, and to allow exporters to navigate more easily among information. The online tool was created in 2004 as a one-stop-shop to inform business in developing countries on how to export to the EU. Although the Commission is still negotiating with the European Parliament and the Council to reach a political agreement on CAP reform – and remains optimistic that this can be concluded before the end of June – so that the new legal regulations can be in place from January 1, 2014, it believes it is not realistic for Member States to have all the necessary administrative procedures in place by the start of next year. For Rural Development, it is standard practice to define transitional rules in order to bridge the gap between two multi-annual programming periods. However, it is considered that there is also a need for some specific transitional arrangements, notably to deal with the implications from the delay in the new direct payment regime. The proposals also cover new transitional rules for Croatia. Moreover, the process of moving towards a fairer distribution of funds for direct payments among Member States – what is often called "external convergence" – will already apply in the 2014 claim year. Pastoralists in remote regions of northern Kenya and southern Ethiopia are collecting data on wells and water reserves and sending it by text message to regional databases, doing in minutes what it took days or weeks to do before by letters. “Having this information the same day means [relief organisations] are working with very up-to-date information,” said Alun McDonald, a Nairobi-based spokesman for the charity group Oxfam, which launched the drought-alert system as pilot project last year and now wants to expand it. So far, Oxfam is using private funding and phones provided by Finnish telephone manufacturer Nokia. The charity now wants to expand to other parts of East Africa prone to devastating climate events. Oxfam hopes to expand the drought warning system to other parts of Ethiopia and Kenya, which are prone to cyclical food crises, and other vulnerable areas of East Africa. Timing can be critical in remote regions where communication and transport infrastructure are poor. The initial slow response to the 2011 drought was blamed in part on spotty data collection from across a vast swathe of the Horn of Africa. Since then, mobile network coverage has improved, clearing the way for efforts like Oxfam’s early-alert project. East Africa saw one of its worst droughts in more than 50 years in 2011, causing a humanitarian and refugee crisis as crops and livestock withered. At the height of the crisis, 13 million people needed food and water aid in Djibouti, Ethiopia, Kenya and Somalia. By mid-2011, the European Commission and EU states pledged €706 million. The crisis also prompted the European Parliament, in a September 2011 resolution, to urge the EU to do more through its development aid to buttress the region against droughts and other climate shocks. The EU fully supports Ethiopia's efforts to join the WTO, and both the EU and Ethiopia have a common interest in stability and economic development of the Horn of Africa – these were among the key remarks by President of the Council of the EU, Herman Van Rompuy, after his meeting on 17 April with Prime Minister of Ethiopia, Hailemariam Desalegn, in Brussels. He said that the EU attaches great importance to the role Ethiopia plays to ensure peace and security in the Horn of Africa region. Van Rompuy positively appreciated the country's progress in poverty reduction and Millennium Development Goals achievements, as well as the country's economic growth that is situated well above the Sub-Saharan Africa average. At the same time, van Rompuy emphasized the importance the EU attaches to the respect of human rights in the region. In addition, since Ethiopia holds the 2013 chairmanship of the African Union, the meeting also covered EU-African Union relations and, in particular, the preparation of the next EU-AU Summit in 2014. Ethiopia and the EU have substantial economic and trade relations. The EU is the most important trade partner for Ethiopia with over 40% of Ethiopia's exports going to Europe. On the other hand, about 300 European companies are active in Ethiopia. MEPs voted on April 16 against a proposal to shore up the price of carbon in the Emissions Trading System (ETS) - the EU system for trading greenhouse gas emission allowances. But MEPs in Strasbourg voted 334 against the reform, with 315 in favour, leading green campaigners to condemn the defeat as a "monumental failure" to mend the carbon trading market, which is Europe's flagship climate policy and the biggest in the world. Rob Elsworth, a campaigner at emissions trading NGO SandBag, said: "The outcome of the vote is unfortunate. It sends the wrong message to companies, to the public and the international community. […] In the meantime, member state climate policies are now likely to become more fragmented and this will have a negative impact on the common market." The vote was lost partly owing to a rebellion by the UK's Tory MEPs, who defied David Cameron to reject the plan to postpone the auction of a substantial number of carbon permits. A spokesman for Conservative MEPs said: "The EU ETS was established as a market-based mechanism and must continue to operate according to market principles. We are therefore concerned about the impact of commission intervention to adapt the auction timetable in order to manipulate the carbon price." Under backloading, some of the allocations of permits by member states to their industries would be held back from auction for several years. At present, auctions of permits take place on a regular basis, in which companies bid for any they need above the free allocation that some receive But as the market is already swamped, if the auctions were to take place as usual the price could fall even further. On an official visit to the ACP Committee of Ambassadors in Brussels on Tuesday, April 16th, the Prime Minister of the Federal Republic of Ethiopia, H.E. Hailemariam Dessalegn, called on the European Union to be more understanding to the need of the ACP countries. He also stressed the need for a strengthening of the unity, the solidarity and the cooperation among ACP countries and regions. “We must also recognize the importance of solidarity we had built amongst us in the ACP group and the need to strengthen it further. With such sense of solidarity, I am of the view that we would be better placed to rise up to the many challenges that we face as a group of developing countries with limited capacity and resources at our disposal. Issues of global nature, such as climate change, for instance, need solidarity in convincing the developed world to be committed to the efforts of mitigating the effects of carbon emissions”, he said. The talk was held not only in Dessalegn’s capacity of Head of State of Ethiopia, but also as the current Chair of the African Union. On the eve of a decisive vote in the European parliament on a market access regulation (1528/2007) that proposes to exclude certain ACP states from European Union trade preferences, the Secretary General of the ACP, Alhaji Muhammad MUMUNI called on April 15 on the MPs to refrain from taking action, as it is considered that voting for the regulation would be to the detriment of the ACP states concerned, and could be considered as a pressure. Moreover, the Secretary-General appealed to the MEPs to retain the implementation date of 1 January 2016 for the Economic Partnership Agreement (EPAs), instead of the new proposed date of October 2014. He considers that this would correctly accommodate the interest of the ACP-EU partnership. The proposal to exclude certain ACP States from benefitting from duty free and quota free market access would had exerted severe pressure on ACP States to accept the EPAs, in order to avoid the interruption of their exports to the EU. The ACP groups believes that such pressure goes against the principles and spirit of the ACP-EU partnership as enshrined in the Cotonou Agreement. Furthermore, the proposal would tilt in EU’s favour the balance of power in an already asymmetrical process of negotiations. Another critic which is brought to the EPAs negotiation process is that it creates divisions in some regions where not all members subscribed to comprehensive EPAs, and also that they deal only with trade in goods and related issues, leaving for later discussions on other important development support issues of greater interest to the ACP States. The ACP group view is that a decision to implement the amendment by October 2014 would not allow the conclusion of comprehensive and inclusive regional agreements. The amount of the envelope for the 11th European Development Fund - EDF (corresponding to the period 2014-2020) to the ACP countries will be 30,5 billion euros, the European Commissioner for Development of the European Commission, Andris Piebalgs confirmed during the 10th meeting of Ministers of national and regional officers for the European Union (EU) - African, Caribbean and Pacific Group (ACP) cooperation, held in Brussels between 17th and 18th April. The General Secretary of the Indian Ocean Commission (IOC), Jean Claude de l'Estrac said that EU contribution represent about two thirds of the funds IOC invests in projects to improve maritime, air connectivity, as well as food security, agricultural productivity, renewable energy and biodiversity. On the occasion of the meeting a letter to the members of the EP was drafted, which asks for the withdrawal of the amendment that advances the deadline for the signature of the comprehensive EPAs to October 2014, according to the IOC. However, earlier this year, the EU ministers had announced that – after the negotiations of the EU budget for 2014-2020- the European Development Fund (EDF), the main instrument for providing Community development aid in the African, Caribbean and Pacific (ACP) countries and the overseas countries and territories (OCTs), will received € 26,9 bn (€3 bn less than in the initial proposal of the European Commission). A draft joint statement between the Canada and the EU on efforts to combat illegal, unreported and unregulated (IUU) fishing was endorsed at the last Council meeting on Agriculture and Fisheries held in Luxembourg on 22 April 2013. Both Canada and the EU consider that IUU fishing constitutes one of the most serious threats to the sustainable exploitation of resources in the world's oceans, and it can be best prevented through international cooperation. Canada and the EU have already put in place legal instruments to combat IUU fishing (e.g: EU regulation 1005/2008 on IUU). With this endorsement, the Commission can sign on behalf of the EU this joint statement at the occasion of a future meeting with Canada. Progress in the negotiations for a new protocol to the fisheries partnership agreement between the EU and Morocco is slow, being stranded especially on issue of the financial counterpart from the EU and the issue of inserting a human rights clause, was reported at the last Council of the EU meeting on Agriculture and Fisheries held in Luxembourg on 22 April 2013. On the occasion, Spain has requested the Commission for a special briefing on the state of play of the negotiations concerning the EU-Morocco fisheries protocol, but also on its position with regard to the results of the joint scientific committee meeting held recently within the EU/Mauritania fisheries protocol. On the basis of a mandate granted to the Commission by the Council, negotiations for a new protocol to the EU-Morocco agreement were opened in early November 2012. A fifth round of negotiation took place on 11-12 February 2013 and ended inconclusively. No dates have yet been scheduled for a sixth round, but Morocco is expected to fix a date for a new round of negotiations. 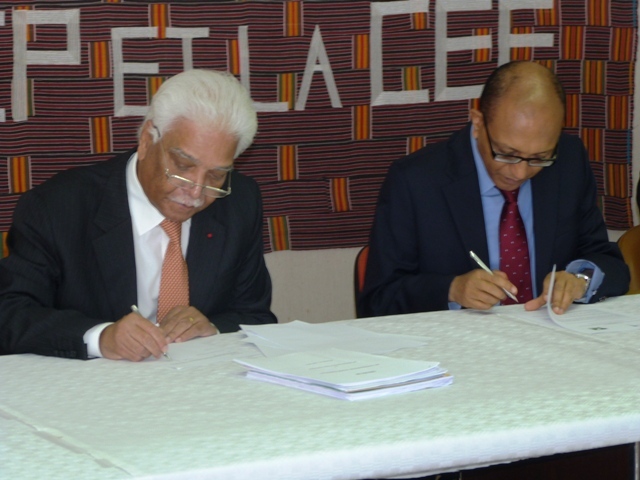 Concerning Mauritania, on 3 December 2012 the Council decided to sign and provisionally apply the new protocol to the fisheries partnership agreement with Mauritania. This decision was taken by qualified majority as some member states did not support the signing and provisional application. Spain considered for example that this protocol did not provide for fishing opportunities for cephalopods. The protocol contains a revision clause which would enable the joint EU/Mauritania committee to change the current fishing opportunities on the basis of scientific advice. The last meeting of this committee did not provide fishing opportunities for cephalopods but led to the convening of the EU/Mauritania joint scientific committee which took place from 2-5 April 2013. This committee envisaged possible adjustments of the protocol only for pelagic fishes and crustaceans. Both fisheries partnership agreements are especially important to Spain. An updated U.N. treaty governing the exploitation of deep-sea bioresources is urgently needed, EU Maritime Affairs Commissioner Maria Damanaki said on April 11 at a U.N.-sponsored conference in Paris, in an attempt to assure a rational and fair harvest of resources from in deep-sea areas. Her call came as private companies and scientific teams are stepping up "bioprospecting" in deep-sea areas, seeking sometimes rare marine organisms whose molecular compounds and unique properties can be used in anti-cancer pharmaceuticals, food and other potentially lucrative commercial fields. That has led to fears of over-harvesting, physical disruptions of fragile ecosystems and pollution in the absence of an updated convention to protect the diversity of deep-sea marine life. The conference called for "decisive action" to "move forward" on a revision of the U.N. Convention on the Law of the Sea (UNCLOS) -- which governs the high seas beyond national jurisdictions -- to include the protection of marine biodiversity. UNCLOS, since it was established in 1994, has covered only rights to "non-sedentary marine biological resources" such as fish, which belong to whoever catches them on the high seas. However, since then, deep-sea species such as sponges, corals and sea slugs and bacteria collected from hydrothermal vents have become commercially attractive for the enzymes their produce, which can be used in anti-cancer drugs, cosmetics, ethanol production and other products. "Bioprospecting" marine scientists and companies have identified more than 15,000 molecules, resulting in nearly 700 marine gene patent claims filed by 2009.Dozens of products based on deep-sea organisms have been patented, raising questions of how the sea life will be managed. Moreover, the number of new products developed from marine species through biotechnology grows by 4 percent every year. Damanaki told the Paris conference that the European Union is urging a goal of adding a biodiversity protocol to UNCLOS by 2014. Countries attending last year's Rio+20 Conference in Rio de Janeiro committed to agreeing on an updated UNCLOS by the end of the 69th U.N. General Assembly in September 2014. However, one of the biggest challenges would be to establish a new entity responsible for administrating access to marine genetic resources, and to establish benefit-sharing and monitoring mechanisms. (ECOWAS) programmes in macroeconomics and public financial management. The funding will come from the Regional Indicative Programme (RIP) of the 10th European Development Fund (EDF), and will be integrated in the AFRITAC initiative (Regional Technical Assistance Centres in Africa) of the International Monetary Fund (IMF). The EU’s contribution will add to the five-year cycle of AFRITAC 1 and the first five-year cycle of AFRITAC 2. AFRITAC 1 covers the eight UEMOA member states, plus Guinea and Mauritania. AFRITAC 2 is slated to be established this year and will cover the remaining five member countries of ECOWAS. The 'Graphene’ and ‘human brain' initiatives are the winners of an EU €2bn competition for future and emerging technologies (FET), the European commission announced on April 15. Each initiative involves researchers from at least 15 EU states and nearly 200 research institutes. Each project will receive €1bn over the next ten years, from the Commission research and innovation funding programmes, principally from the Horizon 2020 programme (2014-2020) - currently negotiated in European Parliament and the Council of the EU. "Graphene" will investigate and exploit the properties of a revolutionary carbon-based material - the thinnest material, which conducts electricity better than copper, is 100-300 times stronger than steel, and has unique optical properties. The EC says the substance is to become the "wonder" material of the 21st century. The "Human brain project" aims to create the world's largest experimental facility for developing the most detailed model of a brain. It will study how the human brain works, and try to develop treatments of neurological and related diseases. The Technical Centre for Agricultural and Rural Co-operation (CTA) and the Indian Ocean Commission (IOC) signed on 18th of April in Brussels a Memorandum of Understanding (MoU) to foster greater cooperation between the two organizations. The signing is a follow-up to a regional Briefing organized by CTA, and held in Mauritius in April 2012, which addressed the topic of vulnerabilities of small island economies and resilience in key areas of agricultural production, trade and environment. Hence, the goal of the MoU is to strengthen the cooperation between the two organizations on topics of Agricultural and Rural Development policies, natural resources management, as well as to induce an increase an food productivity and agricultural regional trade. Thus, according to the MOU, critical areas of collaboration include: climate change, agriculture, fisheries, green economy, and development of learning and knowledge platforms for policy dialogue and other identified areas of interest to agricultural development. Other areas are institutional capacity strengthening, promotion of south-south cooperation, and mobilization of partnerships that complement development efforts in the region. A detailed plan of action will be developed and reviewed annually. The Technical Centre for Agricultural and Rural Cooperation (CTA) is a joint ACP-EU institution active in agricultural and rural development in ACP countries. Its mission is to advance food and nutritional security, increase prosperity and encourage sound natural resource management in ACP countries. The Indian Ocean Commission (IOC) is an intergovernmental organization based in Mauritius that was created in 1982. It is comprised of five countries in the Indian Ocean, namely: Union of the Comoros, France/Reunion Island, Madagascar, Mauritius and Seychelles. IOC is the only organization in the region which is composed exclusively of Islands; it stands at defending the Islands’ mutual interest at a regional and international level, whilst promoting solidarity and sustainable development.